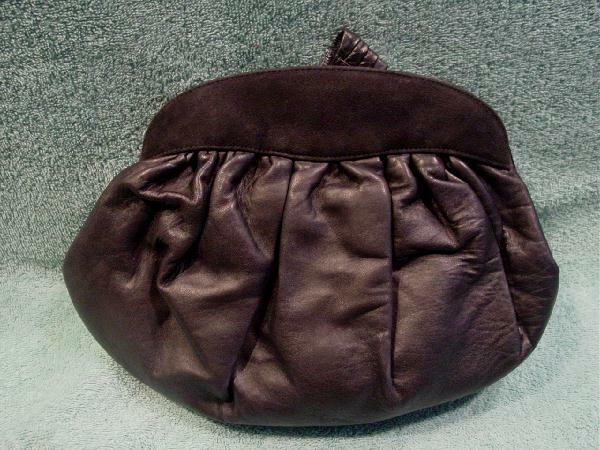 This vintage black suede/leather purse has a 47" by 1/4" leather shoulder strap. It has two interior pockets, a large zippered one with a black fabric lining, and in front of that one, an open pocket lined in leather. 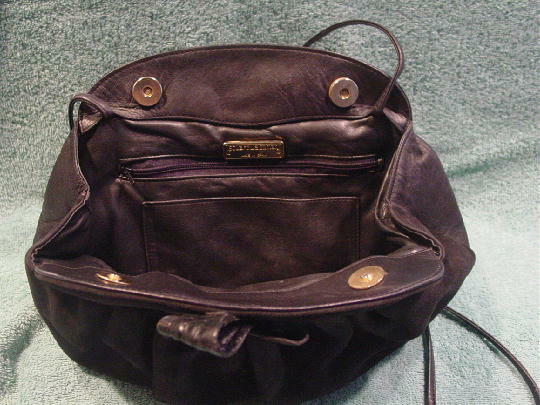 There is a gold-tone metal tag above the zipper with Stuart Weitzman made in Spain etched in black letters on it. The interior top has a two magnetic snap closure. 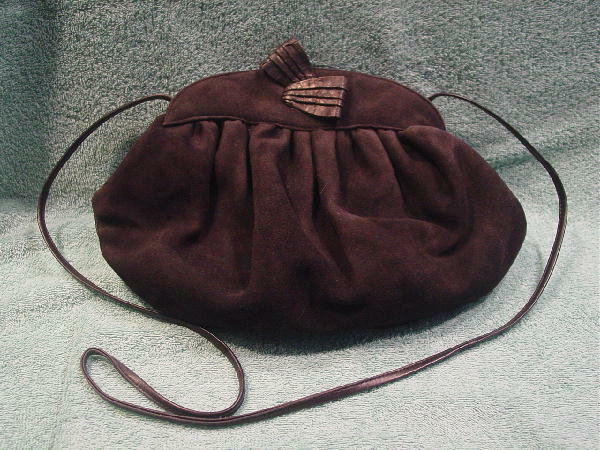 The shoulder strap can be tucked inside so you can carry it as a clutch. The front is in black suede with a crinkled leather accent and the back has suede at the top and the rest of the back is in black leather. It's from a New York actress.